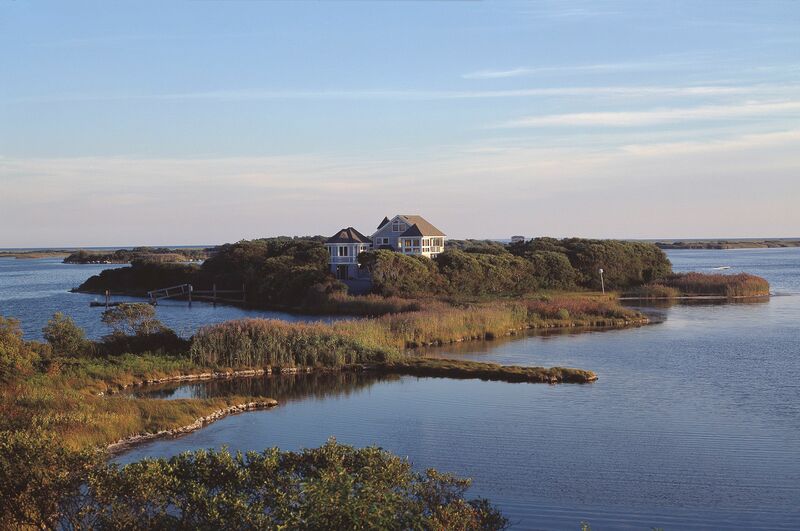 Island Retreat - SMOOK Architecture & Urban Design, Inc. 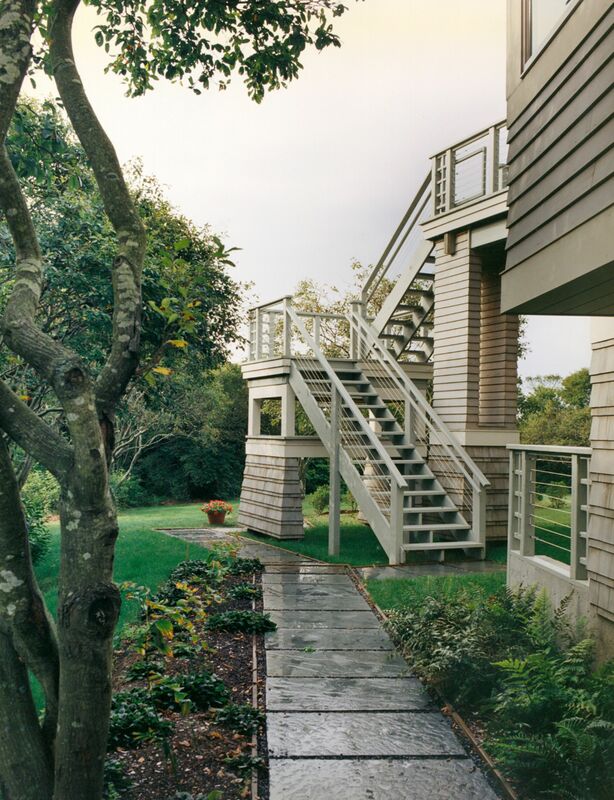 Located on a bulb-shaped peninsula surrounded by a freshwater pond in southern Rhode Island, this project is the culmination of a phased design plan by SMOOK Architecture & Urban Design, Inc. 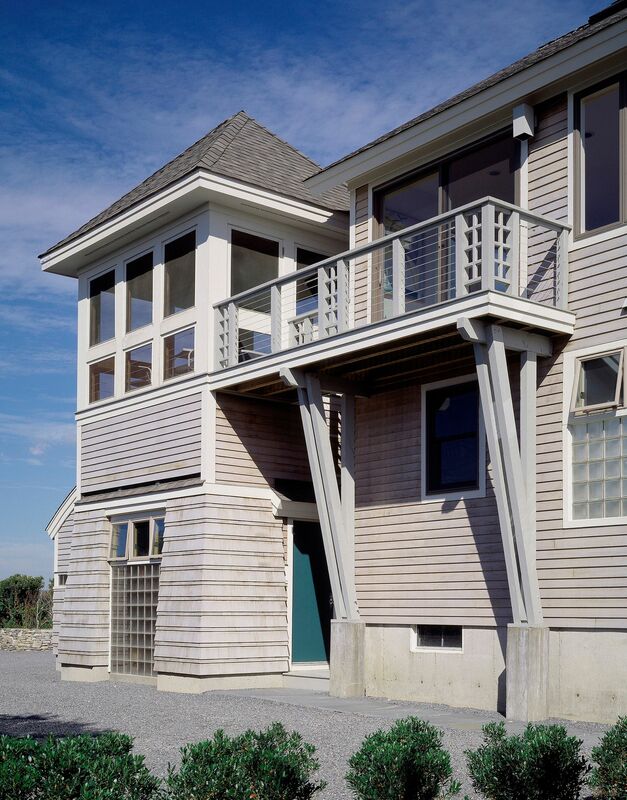 The initial phase of the project began with the construction of a simple two-story gabled structure poised at the heart of the site. This original structure became the framework upon which a series of complementary forms were designed and constructed over time, not unlike the manner in which a small town grows from its center. 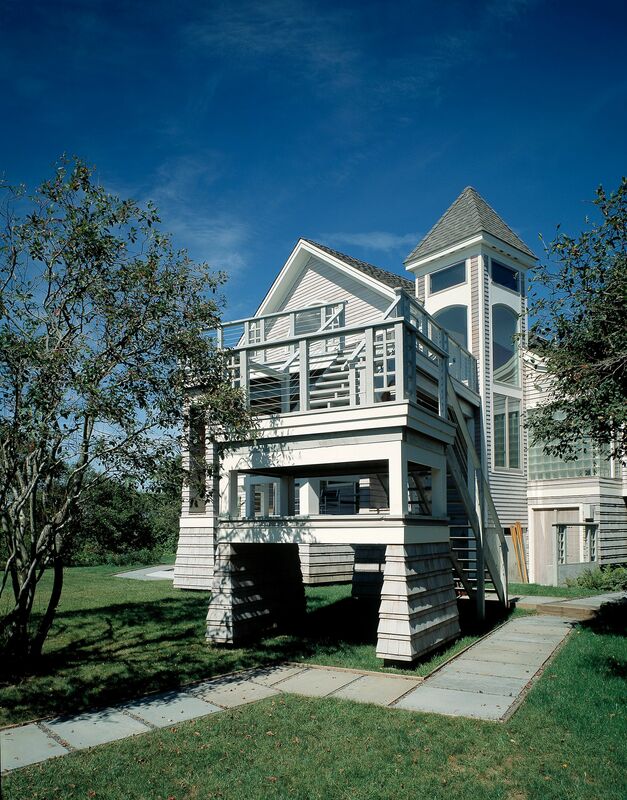 The forms of each successive “pavilion” were designed to evoke rural New England architectural imagery. By juxtaposing these building elements against one another, intriguing open spaces and focal points were created. Interior spaces are oriented outwards to take advantage of views of the landscape and inwards towards neighboring pavilions. The resulting interrelationship of these forms with one other and the site instill a sense of delight and visual playfulness to this vacation retreat.